Aspire Global International LTD (“the Company”) is a company registered in Malta for the purposes of operating online games and mobile application games. Tau Marketing Services Ltd (“The White Label Brand Owner”) is registered in the United Kingdom with company number 09234379 for the purpose of providing marketing services. We respect your privacy and are committed to protect the privacy of our users (“user” or “you”). Please Note: If you play or register an account in the United Kingdom (UK) or Denmark, all references herein to “the Company” shall be deemed also as a reference to AG Communications LTD, which is within the same corporate group as Aspire Global International LTD.
We collect two types of data and information from our users. The first type of information is un-identified and non-identifiable information pertaining to a user(s), which may be made available or gathered via your use of the Services (“Non-personal Information”). We are not aware of the identity of the user from which the Non-personal Information was collected. Non-personal Information which is being collected may include your aggregated usage information and technical information transmitted by your device, including certain software and hardware information (e.g. the type of browser and operating system your device uses, language preference, access time and the domain name of the website from which you linked to the Services; etc. ), in order to enhance the functionality of our Services. The second type of information is individually identifiable information, namely information that identifies an individual or may with reasonable effort identify an individual (“Personal Information”). When you use our Services either via an In-House Brand or a White Label Brand, you will be asked to provide Personal Information to us. The Personal information we collect through our Services includes information which is submitted directly by the user, such as: phone number; full name; e-mail address; home address; date of birth; payment means (e.g. credit card number); and other financial information that we may need in order to provide our Services. We may also collect Personal Information from your device (e.g. geolocation data, IP address) and information on your activity on the Services (e.g. pages viewed, online browsing, clicks, actions, etc.). If we combine Personal Information with Non-personal Information, the combined information will be treated as Personal Information for as long as it remains combined. a. We collect information through your use of the Services. In other words, when you are using our Services, we are aware of it and may gather the information relating to such usage, either independently or through the help of third-party services as detailed below. b. We collect information which you provide us voluntarily. For example, we collect Personal Information which you provide when you: (i) respond to communications from us; (ii) open an account and use the Services ; and (iii) communicate with us via the chat widget or via email. c.	We collect information through our white label partners and our trusted third-party services, such as information about your credit history agencies and other financial information which is relevant to our Services, as well as information which is gathered in order to verify your identity and prevent fraudulent or illegal activity. A "cookie" is a small piece of information that a website assign to your device while you are viewing a website. Cookies are very helpful and can be used for various different purposes. These purposes include allowing you to navigate between pages efficiently, enable automatic activation of certain features, remembering your preferences and making the interaction between you and our Services quicker and easier. Cookies are also used to help ensure that the advertisements you see are relevant to you and your interests and to compile statistical data on your use of our Services. Our website uses four types of cookies: (i) 'session cookies' which are stored only temporarily during a browsing session in order to allow normal use of the system and are deleted from your device when the browser is closed; (ii) 'persistent cookies' which are read only by our website, saved on your computer for a fixed period and are not deleted when the browser is closed. Such cookies are used where we need to know who you are for repeat visits, for example to allow us to store your preferences for the next sign-in; (iii) 'third party cookies' which are set by other websites who run content on the page you are viewing, for example by third party analytics companies who monitor and analyze our web access; and (iv) 'flash cookies' which are saved during game play to allow quicker and better gaming experience. You may remove the cookies by following the instructions of your device preferences; however, if you choose to disable cookies, some features of our Service may not operate properly and your online experience may be limited. To investigate violations and enforce our policies, and as required by law, regulation or other governmental authority, or to comply with a subpoena or similar legal process or respond to a government request. We may share Personal Information with the following Recipients: (i) our subsidiaries; (ii) our white label partners; (iii) companies within the Group and other affiliated companies (iv) subcontractors and other third party service providers, including any replacement service provider that the White Lable Brand Owner may engage to operate our websites; (v) auditors or advisers of any of the Group's business processes; and (vi) any potential purchasers or investors in any of the companies within the Group. Communicating promotional and informational materials, in accordance with our marketing policy. We may also disclose Personal Information, or any information you submitted via the Services if we have a good faith belief that disclosure of such information is helpful or reasonably necessary to: (i) comply with any applicable law, regulation, legal process or governmental request; (ii) enforce our policies (including our Agreement), including investigations of potential violations thereof; (iii) investigate, detect, prevent, or take action regarding illegal activities or other wrongdoing, suspected fraud or security issues; (iv) to establish or exercise our rights to defend against legal claims; (v) prevent harm to the rights, property or safety of us, our users, yourself or any third party; or (vi) for the purpose of collaborating with law enforcement agencies and/or in case we find it necessary in order to enforce intellectual property or other legal rights. Our policy only addresses the use and disclosure of information we collect from you. To the extent that you disclose your information to other parties via our Services (e.g. by clicking on a link to any other website or location) or via other sites throughout the internet, different rules may apply to their use or disclosure of the information you disclose to them. Please note that unless you instruct us otherwise we retain the information we collect for as long as needed to provide the Services and to comply with our legal obligations, resolve disputes and enforce our agreements. We take great care in implementing and maintaining the security of the Services and your information. We employ industry standard procedures and policies to ensure the safety of our users’ information, and prevent unauthorized use of any such information. Although we take reasonable steps to safeguard information, we cannot be responsible for the acts of those who gain unauthorized access or abuse our Services, and we make no warranty, express, implied or otherwise, that we will prevent such access. Since we operate globally, it may be necessary to transfer your Personal Information to countries outside the European Union. The data protection and other laws of these countries may not be as comprehensive as those in the European Union − in these instances we will take steps to ensure that a similar level of protection is given to your Personal Information. You hereby consent to transfer of your Personal Information to countries outside the European Union. If you feel that your privacy was treated not in accordance with our policy, or if any person attempted to abuse our Services or acted in an inappropriate manner, please contact us directly at support@jaakcasino.com. We use a third-party advertising technology to serve advertisements when you visit our websites and use our Services. This technology uses Non-personal Information with regards to your use of our Services to serve advertisements to you (e.g. by placing a third-party cookie on your web-browser). We may also use other third parties to assist us in evaluating the success of our advertising. You may opt-out of many third-party ad networks, including those operated by members of the Network Advertising Initiative (“NAI") and the Digital Advertising Alliance (“DAA ”). For more information regarding this practice by NAI members and DAA members, and your choices regarding having this information used by these companies, including how to opt-out of third-party ad networks operated by NAI and DAA members, please visit their respective websites: Networkadvertising and aboutads.info . We may use your Personal Information, such as your name, email address, telephone numbr, etc. ourselves or by using our third party subcontractors for the purpose of providing you with promotional materials, concerning our Services as well, products, services websites and applichations which related to: (i) other companies within the Group; (ii) White Label Brands; or (iii) our business partners’ and affiliates’; (collectively "Marketing Affiliates") which we believe may interest you. We may also share and disclose Personal Information with our Marketing, Affiliates for the purpose of providing you different marketing offers we or our Marketing Affiliates believe are relevant for you. Our Marketing Affiliates may use this Personal Information for different marketing techniques, such as direct email, SMS and telephone marketing purposis. Out of respect to your right to privacy we provide you within such marketing materials with means to decline receiving further marketing offers from us or from our Marketing Affiliates. In addition, at any time, you may request to unsubscribe and discontinue receiving marketing offers by contacting by sending a blank message with the word "remove" to support@jaakcasino.com. If you unsubscribe we will remove your email address from our marketing distribution lists and from any future lists we may share with our Marketing Affiliates. However, you may need to separately unsubscribe from marketing offers sent by our Marketing Affiliates. Please note that even if you unsubscribe from our marketing mailing list, we may continue to send you service-related updates and notifications. You hereby acknowledge and agree that by downloading, installing or accessing to our Services, we may share your Personal Information with our trusted partners and Marketing Affiliates for the purpose of direct marketing. The Services are not designated to users under the age of 18. If you are under 18, you should not download or use the Services nor provide any Personal Information to us. We reserve the right to access and verify any Personal Information collected from you. In the event that we become aware that a user under the age of 18 has shared any information, we will discard such information. If you have any reason to believe that a minor has shared any information with us, please contact us at support@jaakcasino.com. If you have any general questions about the Services or the information that we collect about you and how we use it, please contact us at support@jaakcasino.com. Opphavsrett 2018– Alle rettigheter reservert. 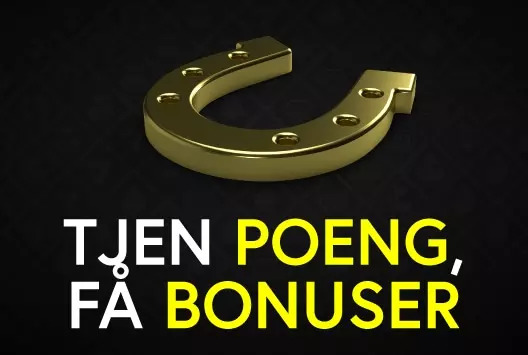 Jaakcasino.com er et merke som eies av Tau Marketing Services Ltd,et selskap underlagt lovene til De United Kingdom. Spillene på denne nettsiden driftes og opereres av Aspire Global International LTD. Selskapet drives fra Malta med registreringsnummer C42296, og har sin registrerte forretningsadresse på 135, High street, Sliema SLM 1549, Malta. Selskapet er en full-lisensiert tilbyder under maltesisk lovgivning om fjernspill, MGA/B2C/148/2007 utstedt 17. august 2009 (denne lisensen inkluderer selskapets tidligere lisenser, og viser gamle lisensnummer og lisensdatoer) – som styres av Malta Gaming Authority. Kun for Storbritannia, er spillene på denne nettsiden drevet av det maltesisk registrerte foretaket AG Communications Limited, med foretaksnummer C48328 og registrert kontoradresse på 135, High street, Sliema SLM 1549, Malta, lisensiert og regulert av United Kingdom Gambling Commission (lisensnummer 000-039483-R-319409-001 for fjernspill). Spill levert av isoftbet er godkjente og lisensierte av Alderney Gambling Control Commission, lisensnummer: 117C2 . Nåværende status for tilbyderens lisens finnes på: Gambling Commission.